We provide complete dentures, dentures over implants, removable partials, mouth guards, relines and same-day repairs. Precision Denture Clinic has served the North Battleford area since 1980. We offer complete denture services including full and partial dentures, relines and repairs. We also offer mouth guards for sports or night grinding. New patients are welcome, and we accept all dental insurance plans, so please don’t hesitate to call us and book your consultation! Rod Sternig, licensed denturist and owner of Precision Denture Clinic, provides fine-crafted complete, partial and implant-retained dentures. 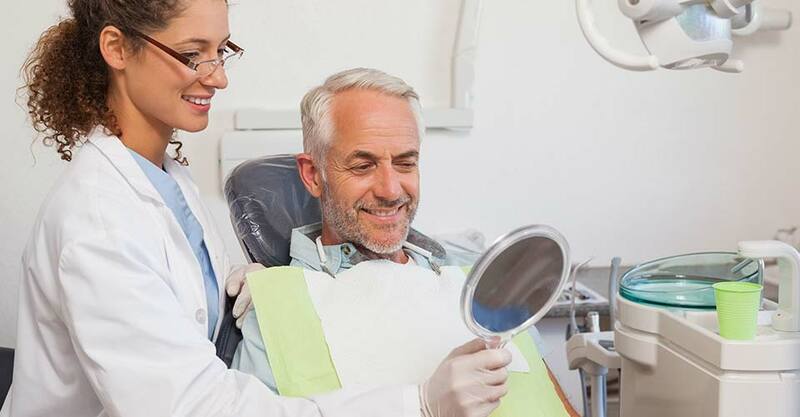 With years of experience in denture fabrication, as well as friendly, professional customer service, we at Precision Denture Clinic take pride in getting to know you and helping you enjoy the process of getting your new smile. Our patients tell us their confidence has been restored due to our professional approach, caring attitude, and attention to detail. Our staff at Precision Denture Clinic looks forward to meeting you soon, and beginning your journey toward a new smile. Whether you need new dentures or require repairs, Precision Denture Clinic is here for you – and only a phone call away. We guarantee your satisfaction.